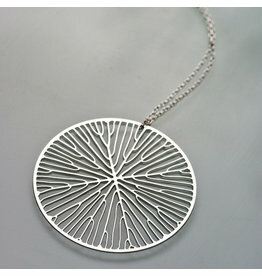 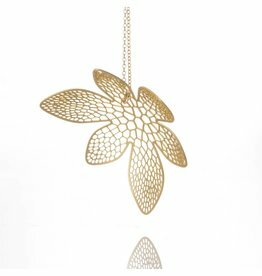 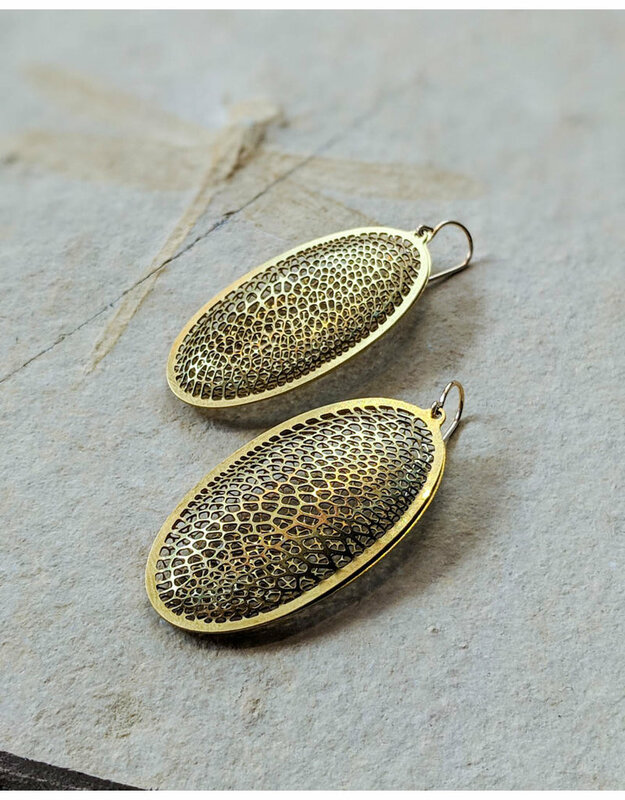 Nervous System's Corollaria collection is inspired by cellular structures in nature. 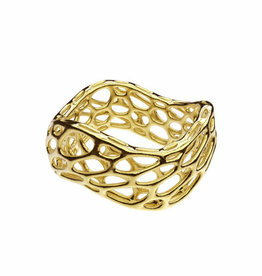 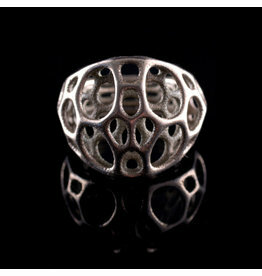 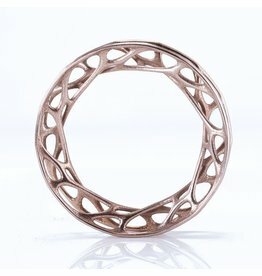 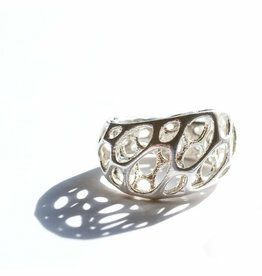 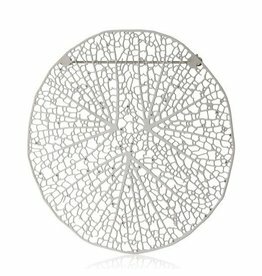 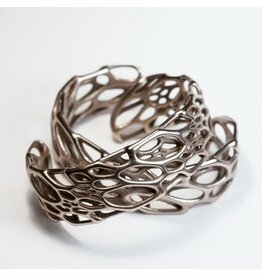 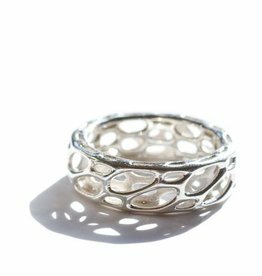 Each piece has an intricate filigree algorithmically designed to vary in density and direction. 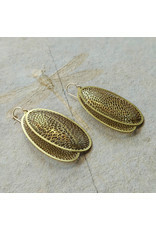 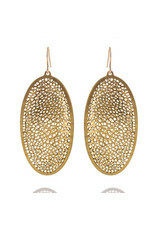 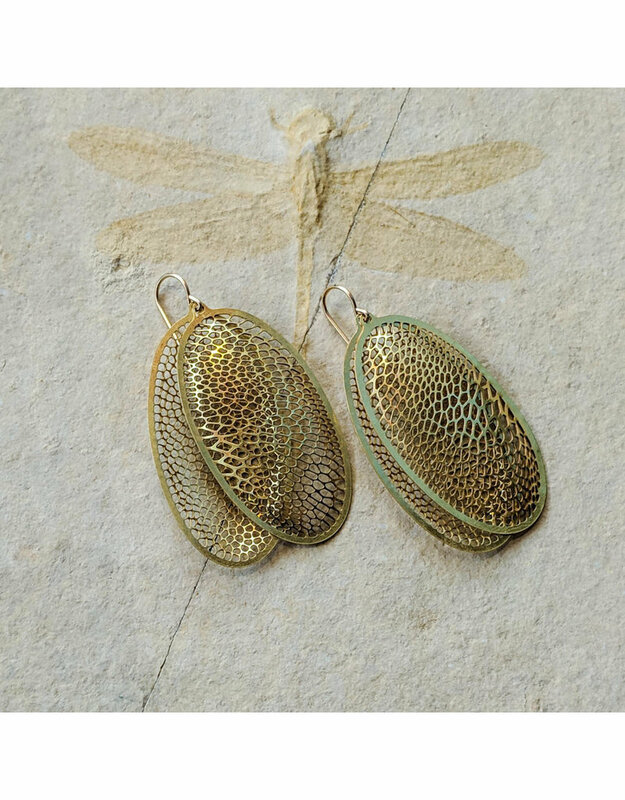 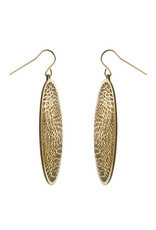 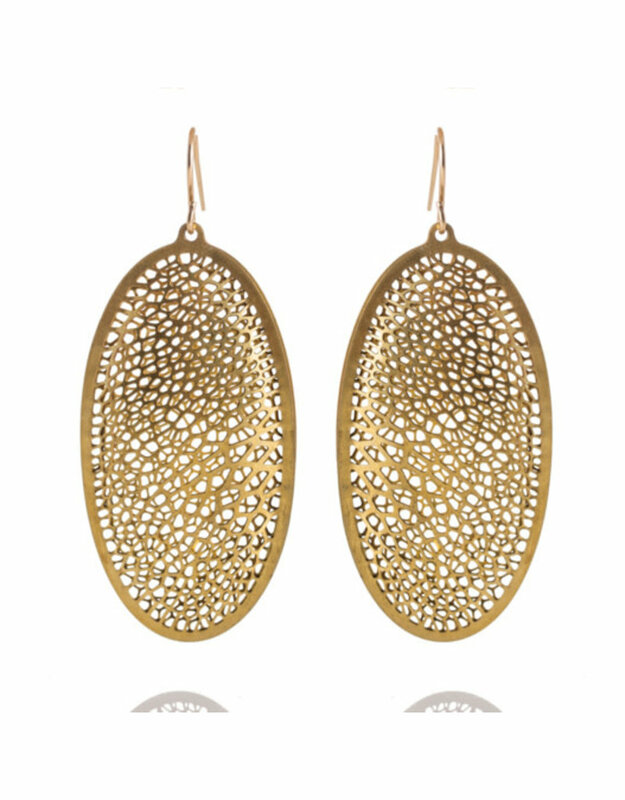 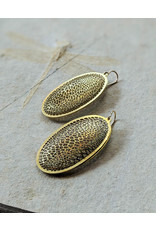 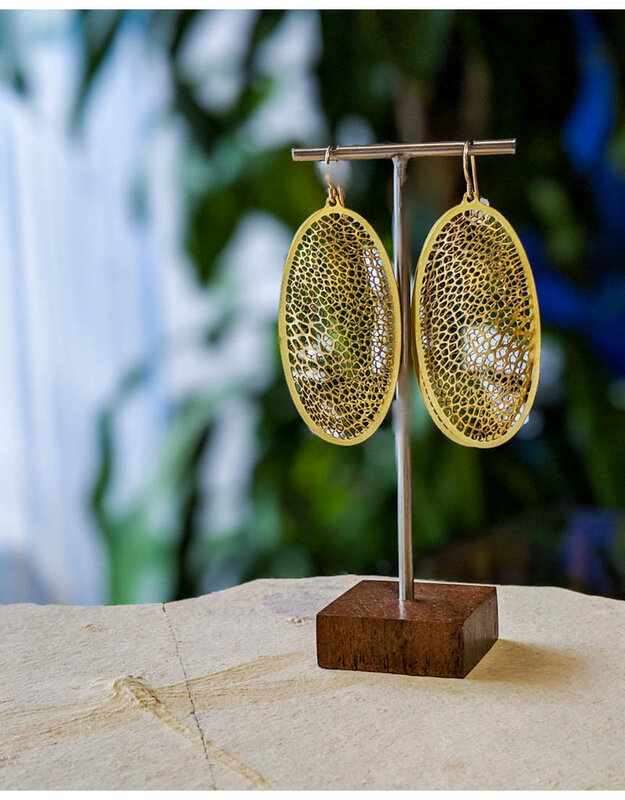 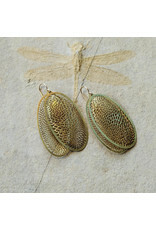 "These intricately perforated brass earrings were inspired by the form of seed pods. 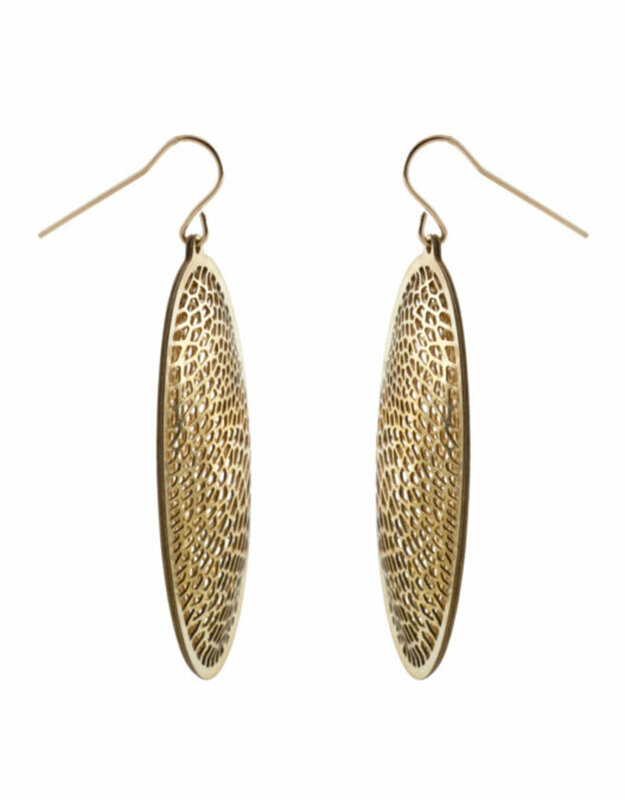 One side features a complex pattern with shifting direction and scale while the other side has a more uniform cellular lattice. 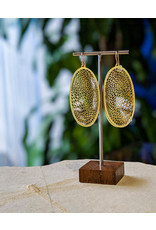 Each earring is made up of two convex pieces which hang from a gold-filled earwire to create an airy pod-like structure."